Challenge: Turn a theme for an annual meeting into an eye-catching, but budget-conscious identity for use in designing all the program elements for this association. Solution: We translated the DMA’s “Navigate” theme into a striking identity and put good typography and design to work to make the most of a two-color design for the materials. 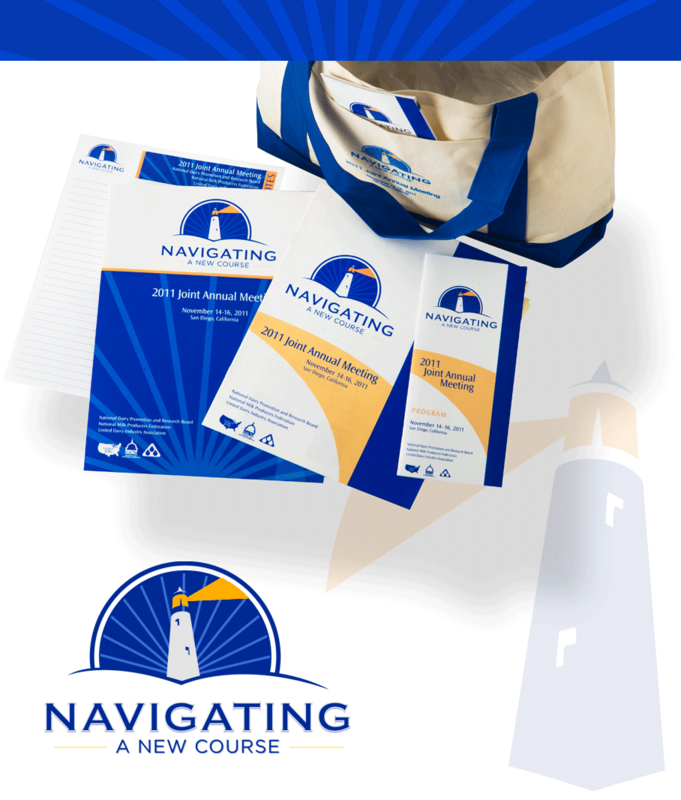 The program, which was implemented over a six-month period, included direct mail announcements, conference program, attendee kit with folder, notepad and name badges and a branded tote bag. Results: Swimmer worked as a team with the DMA to complete their vision and meet deadlines to launch a very successful annual meeting.